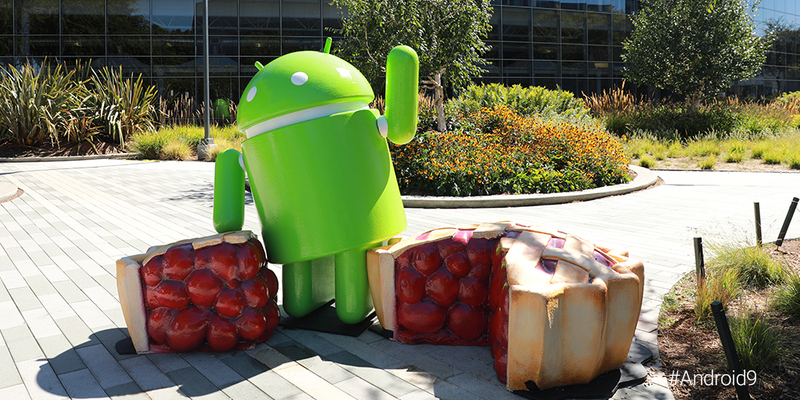 The statue, which was unveiled at 3:14pm PT, only consists of the bugdroid waving with a pie to its left and a slice of pie to its right. This follows the same formula that the similarly-uninspired Nougat statue used: a bugdroid with its arms up next to some of the dessert on the ground. On top of that, the pie's insides don't scream "pie"; I thought it was pomegranate at first. What happened to the legitimately creative statues? The Ice Cream Sandwich statue comes to mind, as does KitKat's. We can only hope that Android Q's (which will be tough to name) will be a bit more creative.